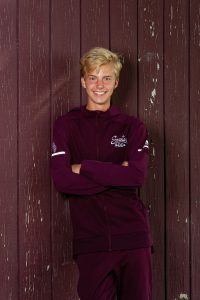 Junior Mitchel Dunham qualified to the OHSAA State Cross-Country Meet after placing 16th at the Boardman Regional Meet this weekend. Mitchell ran a time of 16:49.82 to qualify for his first trip to the State CC Meet. Congratulations to Mitchel and Head Coach John Phillips on this outstanding accomplishment. Mitchel will run at the National Trailway Course in Hebron at 12:30 p.m.